The New England colonies, including Connecticut, Massachusetts, New Hampshire, Rhode Island, and Vermont, were among the earliest colonies settled but life there wasn’t easy. Even today, New Englanders are known for their tough, no-nonsense attitudes. If you were an early colonist in New England, you’d need such an attitude to survive. New England’s poor soil and cold climate made farming hard. Many farmers kept dairy cows because crops didn’t grow well. Farmers moved into towns to learn trades. They became carpenters, dressmakers, cobblers and tradesmen. New Englanders also made their livelihood on the sea. Towns, such as Boston, grew and became prosperous because of shipbuilding, fishing, whaling, and trading. Further south, colonists in New York, New Jersey, Delaware, and Pennsylvania enjoyed greater prosperity. These colonies were known as the “bread colonies” because the mild climate and rich soil was good for farming. The food grown in these colonies helped feed all the colonies. New York was originally settled by the Dutch. 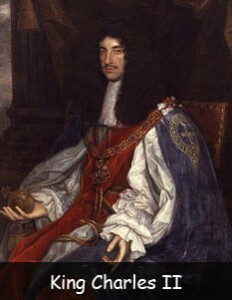 In 1664, King Charles II gave a large portion of land to his brother James. Included in this land was New Netherland, now known as New York. James sent three warships to New Amsterdam’s harbor and demanded that the city surrender. Charles II gave William Penn a colony as payment for a debt. Penn named this colony Pennsylvania. William Penn belonged to the Society of Friends, or Quakers, a religious group that was persecuted in England. He called for religious freedom for all in his colony. He paid Indians for their land and tried to treat them fairly. His city, Philadelphia, was known as one of the most modern and beautiful cities in the colonies. Most people in the South lived on small farms, but the large plantations wielded enormous power. Plantations were like small villages. Each had its own blacksmith shop, church, and pottery kiln. Wealthy plantation owners had political and military power. Tobacco was a major crop, as was the indigo plant, which was used to make blue dye. These large plantations needed cheap labor to be successful. Originally, plantation owners brought over poor Europeans. The plantation owners paid for the workers’ travel expenses. Once in America, the indentured servants agreed to work for a certain period of time – typically seven years. After their debt was paid, they were given land, money, and freedom. Declan, Tobin. " Fun Facts about Colonial America for Kids - ." American History for Kids, Apr 2019. Web. 21 Apr 2019. < https://www.americanhistoryforkids.com/life-in-the-colonies/ >.